Residencia Oliveira is located right in the centre of Lisbon and is typical portuguese building with old tyles on the wall and a fabulous roof garden full of flowers. We are located very close to Santa Apolnia trains station, in the Portuguese old town; 'Alfama' close to the military, water and tile museum. The famous Feira da Ladra market is nearby and you can view the whole of Lisbon from S. Jorge Castle. 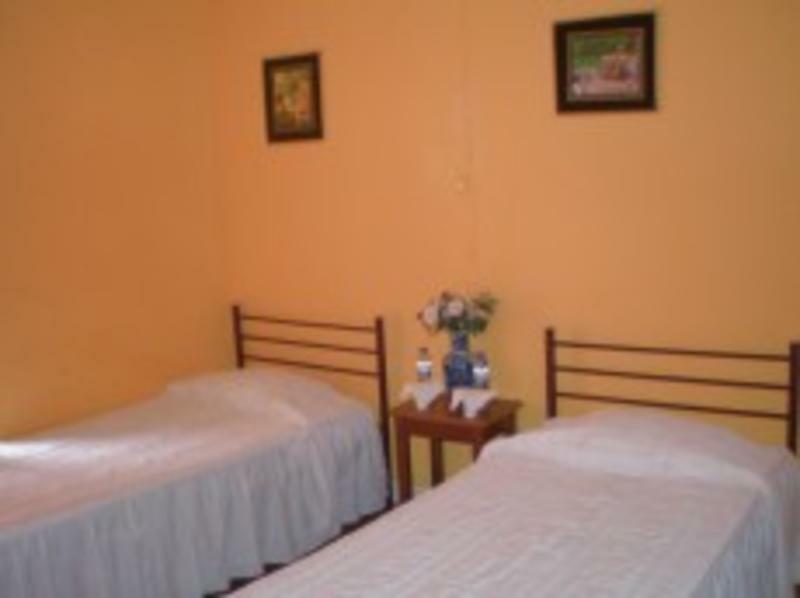 Our backpacker place is like a family house it is very homely place and we have everything you need. Groups or individuals are welcome. We offer double, single, triple and dormitory accommodation. Most of rooms have private showers among our facilities are a cable tv, a kitchen (cooking is not allowed) and charcoal barbeque. The guesthouse offer you utensils to eat and heat up food, like kettle,microwave,refrigerator,spoons,knifes,forks,glasses,cups,bowls and plates. We also offer tea and coffe free of charge. You have free wi-fi in twin, triple room and also in 2 bed mixed dorm,4bed mixed dorm. If you come early you can leave the luggage free. -Sorry, we dont accept cancelation by telephone or cell phone. -Deposit paid are non refundable. This Hostel is right next to Santa Apolonia Train station.If You are comming from train this is the perfect place to be. Every day there's trains from Madrid and Paris...and every day you can go to the inumerous destinations that this station has to offer. When you get off the station turn to your right...if you look above you should see a yellow sign saying Residencia Oliveira. it is just 2minutes walking from Caminhos de ferro street. If you are comming from the airport we advise taking a taxi.It is about 15minutes and the prices go from 10 to 25 euros (TOP). If The taxi Driver charge you more than that please ask for the receipt and the taxi drivers name. If you decide to come by other means there is a bus Number 91to Restauradores square and take the metro to St. Apolnia(train station) on get off in Rossio square and take bus 759 or 745 to st. Apolnia. In Oriente Train station there is another train that goes directly to Santa Apolonia train station.From there follow the directions from Santa Apolonia train station discribed above. You can also can take the bus 28 to St. Apolnia.